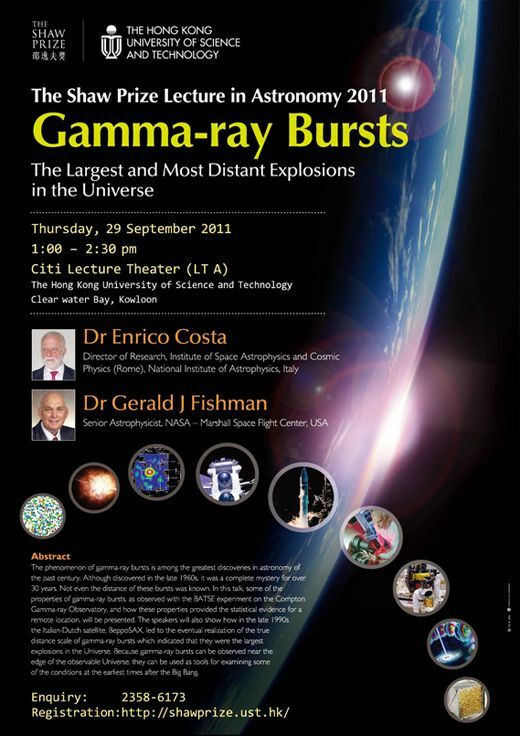 The Shaw Lecture in Astronomy was cancelled on 29 September 2011 due to typhoon. Dr Enrico Costa had kindly offered to present the Shaw Lecture on 30 September 2011. 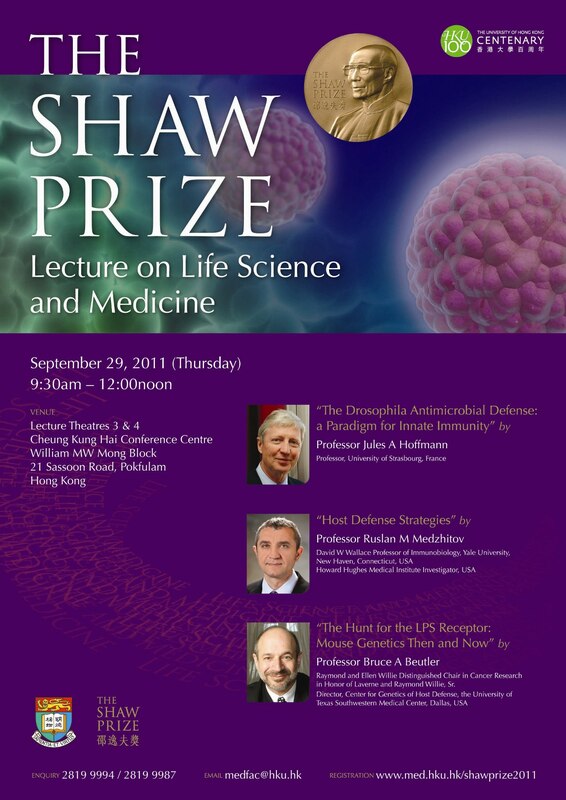 The Shaw Lecture in Life Science and Medicine was cancelled on 29 September 2011 due to typhoon. 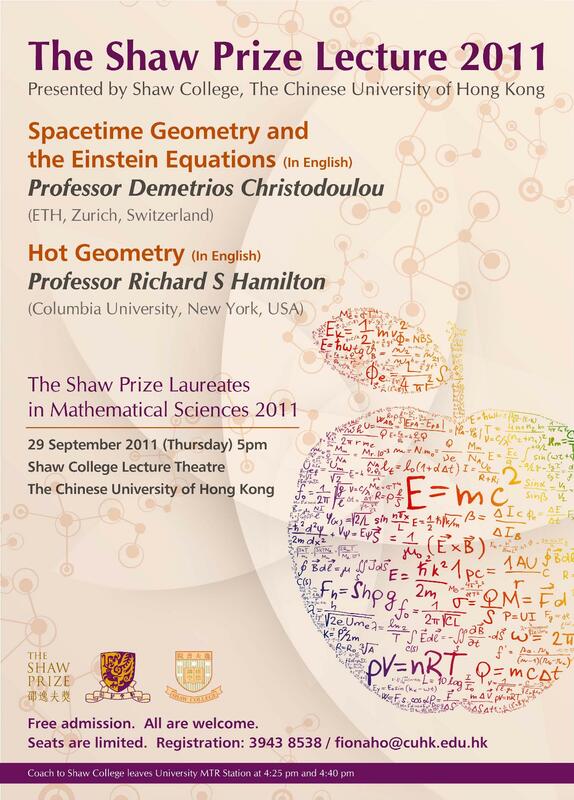 The Shaw Lecture in Mathematical Sciences was cancelled on 29 September 2011 due to typhoon.